As soon as I saw that one of my favourite authors was releasing another book, I immediately added it to my TBR pile. Tabitha Suzuma has written some of the most amazing realistic YA books I have ever read, including a particular favourite of mine, Forbidden. Today, I am waiting on Hurt. Nina want. Nina really want! 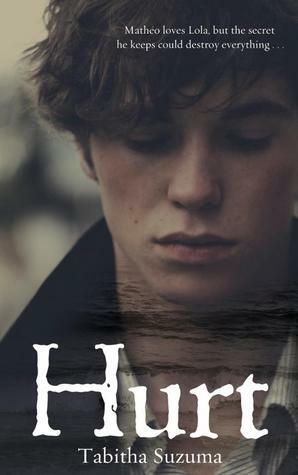 If the gorgeous boy - I mean, um, cover - and the promising synopsis hasn't got you hooked, then I don't know what will! Already I'm on the edge of my seat from suspense, a feeling Suzuma is good at injecting into her readers - I want to know what happened! Gah! Whilst I deal with my feels, why don't you write a comment below telling me what you're waiting on this week? This one looks familiar. Might have seen it in past WoWs. Hope you enjoy it once you read it! Yeah, I haven't seen it around lately, but gah! So excited!